From shampooing our hair to painting our nails, mundane and routine tasks may seem impossible to get wrong – but the simple things in life really can cause the most discomfort if we don’t pay attention to the processes we’re undertaking. Shaving off excess or unwanted hair definitely comes under that banner, and is even more of an issue as summer approaches. How many times have you cut yourself with a blunt razor, suffered with redness or felt yourself itching dry limbs after your regular hair removal session? It’s important to look after our bits and pieces pre, post and during shaving so our skin is left in the most beautiful of conditions; a few changes to your routine can revolutionise the results you see and allow you to step out with confidence. 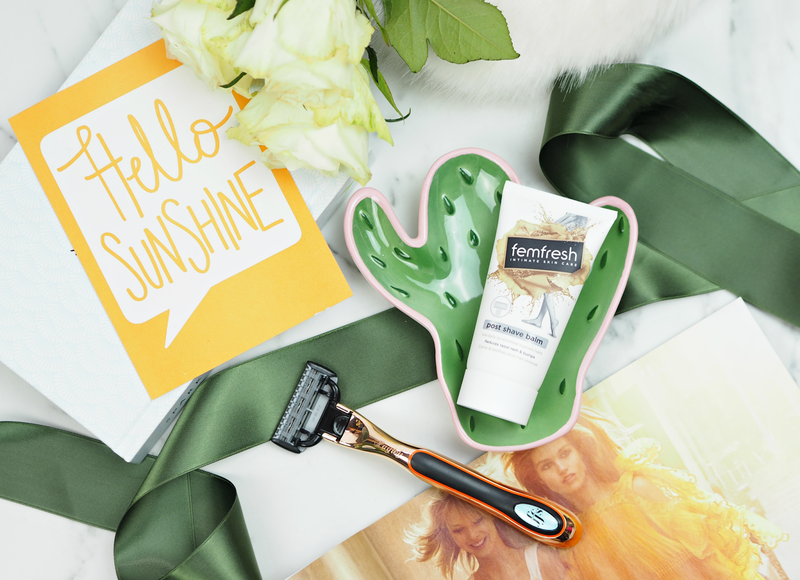 If you’re wondering what you can do to make a real difference, then I’ve broken down my top tips for achieving the perfect shave every time… Just in time for bikini season! You don’t want to clog up your razor with dead skin cells, so regular exfoliation is key to ensuring you’re removing stubble and stubble alone. Exfoliating with a sugar scrub can also help to ensure your skin is in great condition, preventing ingrowing hairs or blocked pores that can also be troublesome when in contact with a razor blade. Massage in a small amount pre-shave, ensuring you wash away any residue thoroughly before getting out the razor. health concerns due to shaving, while 75% experience irritation; changing your razor blade every few times you shave is vitally important not only for efficacy, but for your skin health too. oil to help nourish without irritating. Lather it up a little and massage it onto skin, letting the ingredients do the hard work for you. If you’re tempted to shave your legs with long strokes from ankle to thigh, it may be worth changing up in favour of small and gentle strokes in the direction of hair growth. This provides more control over the process and more refined results as a result. Long strokes can mean you miss key areas, as well as losing control over the blade and increasing the likelihood of a nip. Who says patience doesn’t pay off? to moisturise the intimate areas – as well as helping to reduce redness, minimise ingrown hairs and keeping skin smoother for longer. Massage a small amount onto clean and dry skin after every shave. delicate pH balance, their two shaving accompaniments are the newest addition to the range and really help to provide superior results. oil, it helps to nourish the skin without irritating the intimate areas. their bikini line stayed smoother for longer versus their usual product. It can be used as an intimate wash, an intimate shaving cream or all over the body too. those statistics, the outlook is positive! Nobody need to step out with stubble (whether that’s on your legs, pits or bits) so the next time you pick up the razor, take heed of my advice and enjoy a far superior finish. 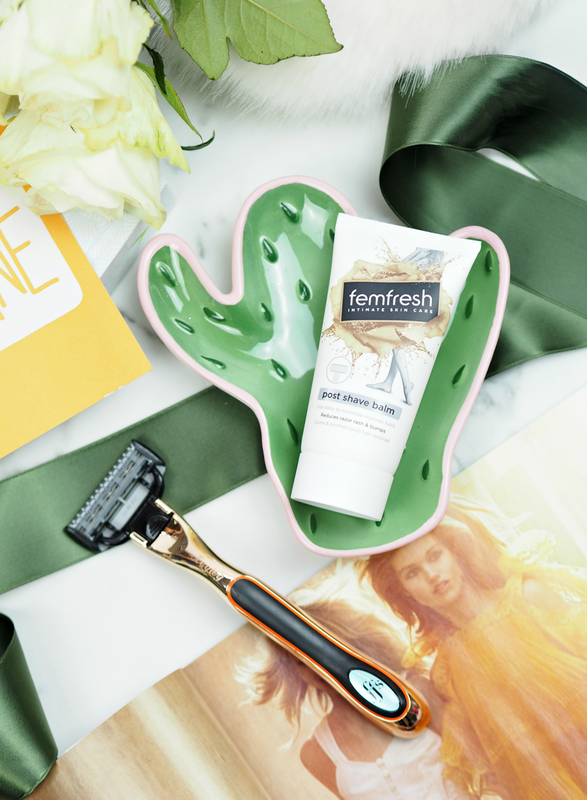 The Femfresh 2 in 1 Shower & Shave Cream and Femfresh Post Shave Balm are priced £3.99 each and available from Boots, Superdrug, supermarkets and chemists nationwide. This is a sponsored post on behalf of Femfresh; all opinions are my own. *109 consumers independently tested the 2-in1 Shower & Shave Cream; 49 consumers tested the Post Shave Balm. I'm awful at remembering too – but I try to change it every time I throw away a bottle of something in the shower to help me remember! Yep they can be used all over the body – so they may well help with the problems you're facing!